Over the years I have repeated my strong belief that you need a lawyer at any criminal proceeding in Massachusetts courts. Recently this sentiment became apparent to one of my clients who questioned the need for legal representation at a clerk magistrate hearing. He really thought that he could handle a particular situation on his own and soon realized that proceeding that way would be a major mistake. This post discusses aspects of that case with an emphasis on the importance of being properly represented in a criminal court proceeding. Not too long ago I represented a man in the Plymouth District Court for a felony larceny case (larceny over $250). The “victim” was a homeowner who was in the process of selling the home to my client. The property had extensive water damage in the basement and on the first floor. An agreement was reached and a closing date was set. The closing date was extended, however the “victim” agreed to permit my client to enter the property to start treating the water damage. My client hired a company perform this work. A couple of weeks later the closing took place. The “victim” later accused my client of taking over $20,000 worth of property from his basement during the closing extension period. My client denied the allegation and refused demands to make restitution for the stolen goods. Consequently, the homeowner applied for a criminal complaint. Initially my client thought he might save some money and represent himself at this hearing. Fortunately for him he had some friends who had been through a similar process and regretted not retaining counsel. In that case we were hired and the cost to our client was far more than it would have been had he hired us to handle the clerk magistrate hearing. In this case however we appeared before the clerk magistrate. The police came prepared with a very detailed report. Their case was professionally presented. However, we had several defenses to present at this hearing. First, we explained that there was no way to show that my client was the person who actually took this property. After all, he hired someone to remedy the water damage. It is possible that someone associated with that entity took the goods. Second, we were able to show that the property was never locked and that there were several thefts in that neighborhood at or near the time of the incident. Both of these facts suggested to the clerk magistrate that elements of the crime of larceny were missing and that probable cause had not properly been established. Third, our office convinced the clerk magistrate that the victim in this case was trying to use the criminal process to circumvent a lawsuit. The magistrate agreed that this was a civil matter, not a criminal matter and the complaint did not issue. 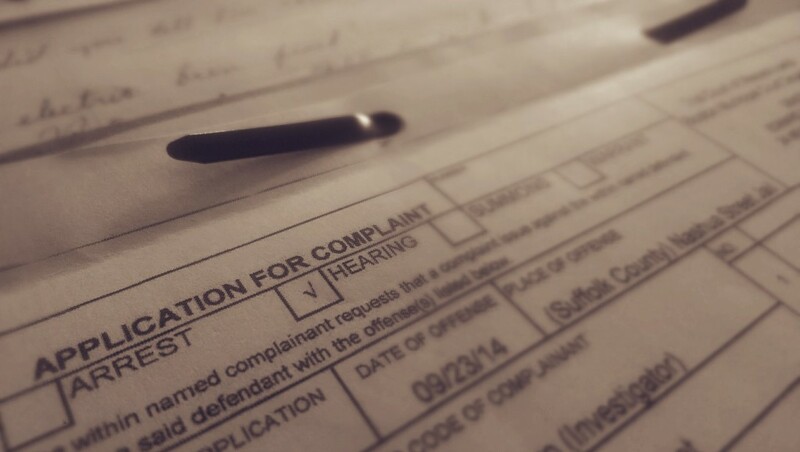 Winning a clerk’s hearing is the most efficient way to resolve a criminal case. Your best chance of winning comes with experienced, competent representation by a criminal defense attorney. Avoid criminal charges in their entirety by hiring the Law Offices of Stephen Neyman now. Call us at 617-263-6800 or send us an email. Lets start working together now.